Students and pupils of Mater Boni Consilii St Joseph School, Paola, performing during the concert. 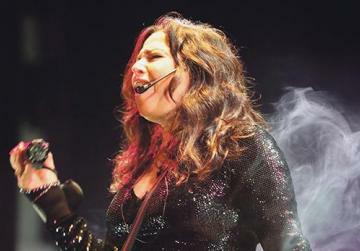 Francesca Alotta, who together with singer Aleandro Baldi won the San Remo festival in 1992 with the song Non Amarmi, performed during the annual Christmas concert of Mater Boni Consilii St Joseph School, Paola, in aid of charity. Alotta was accompanied during the concert by Paolo Rainaldi and Piero Fortezza. Francesca Alotta performing at the concert. During the concert around 200 students had the opportunity to sing along with Alotta as she performed a repertoire that included some of her newest songs from her CD Anima Mediterranea, O Sarracino, O Sole Mio, O Surdato Nnamorato, Tammurriata Nera Non Amarmi, Ciuri Ciuri, Vitta na Crozza and Nel Blu Dipinto di Blu. She also sang various Christmas carols such as Chestnut Roasting, What Did The Animals Say? White Christmas and Happy Day. Maltese singer Amber joined Alotta during the concert to sing Un Anno di Noi as a duet. School head Kenneth Vella said the initial contacts with Alotta started last summer, with the singer expressing interest to travel to Malta to take part in the school’s annual Christmas concert in aid of charity. Due to the school’s limited space it was decided to hold the concert in the auditorium of St Agatha School, Rabat. 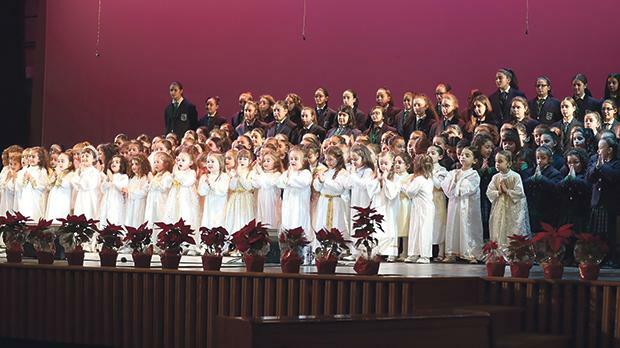 This add­ed to the challenge for the school’s music teacher M’Grace Grech, with the assistance of the Parent-Teacher Association and other members of staff, to prepare the pupils and students to perform in the concert. In fact, they had a very limited time to rehearse on the stage with the singer, who arrived just hours before the concert. Dr Vella said the process of procuring the support of the various sponsors for the organisation of the concert was also a very time consuming exercise, and he expressed his sincere appreciation to the several entities whose assistance and contributions made the event possible. Alotta’s CD Anima Mediterranea may be bought from Mater Boni Consilii St Joseph School, Paola, and part of the proceeds will be donated to the Community Chest Fund. 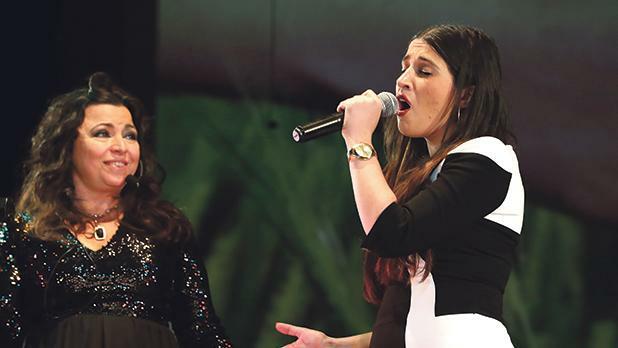 Maltese singer Amber (right) joined Alotta during the concert to sing Un Anno di Noi as a duet.